I’ve linked some of my favorite pieces for this Holiday season! All images are linked below for you! Good morning beauties! I have said it before, and I have to say it again: How is it the middle of November already?! What?! It’s insane how fast the time goes by! 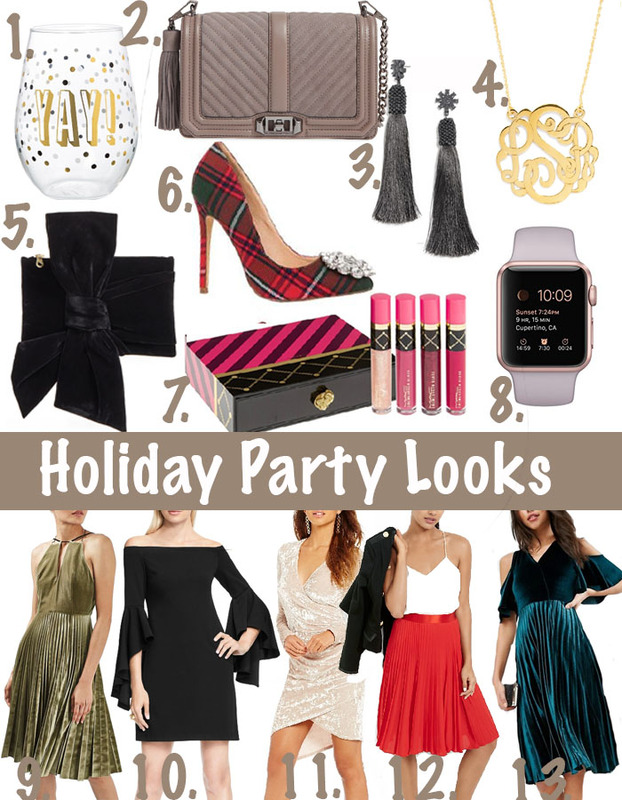 If you read my Holiday Party Look + Top 10 Ways to be Prepared for the Holidays then you’ll remember that #2 was to think about what you’ll wear for the event early. Thanksgiving in my family is a little bit less formal than Christmas, however, knowing what you’ll wear ahead of time makes the world of difference on that day. There is nothing worst than scrambling to be ready and you have not a clue what to wear! Above I have rounded up some of my favorite holiday pieces for the season! Hover on any of the images above and you’ll see a little (+) symbol to click on to take you to the retailer’s site! Happy shopping! Have a lovely day and as always, thank you for stopping by!